As Manufacturing Landscape is continuously changing to be more digital to reap the benefits of latest innovations and everything revolves around Cloud, HANA, IoT, Leonardo, Fiori etc. 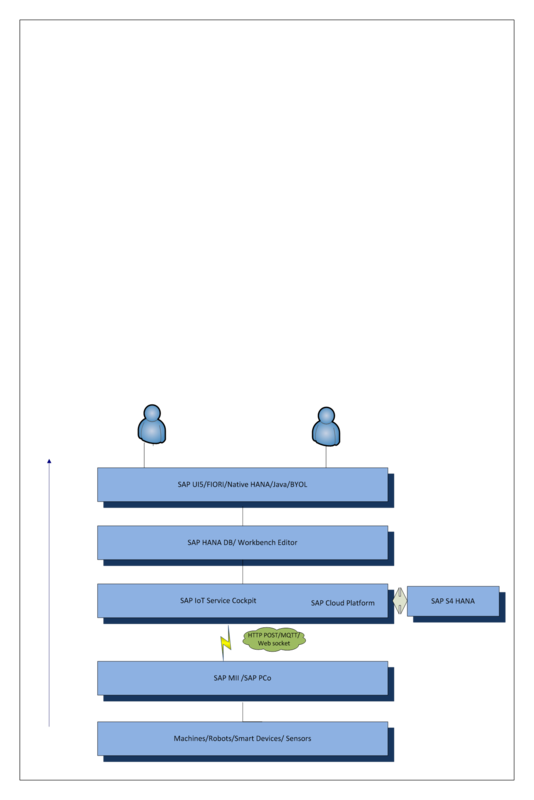 in SAP world these days, I would like to share a scenario, I created some time back using SAP Cloud, SAP MII/PCO, SAP Cloud IoT service and SAP HANA. I am a little biased here to include SAP MII/PCo in this process but you can do without it as well. Concept: This is not a business specific use case but a way to showcase some of latest SAP services and product innovations i.e. 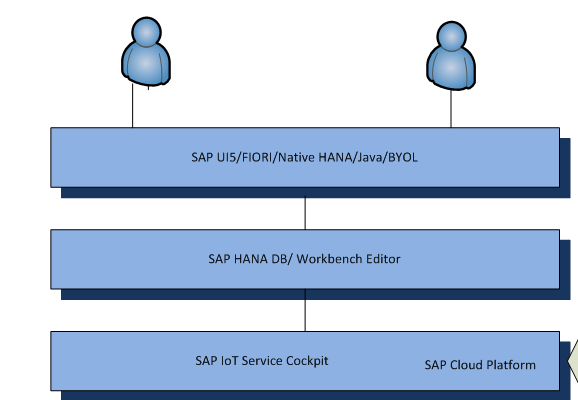 SAP Cloud, HANA , IoT Service , Leonardo and UI5/Fiori principles and how they come together . This is a starting point and basic scenario and you can always extend/add more scenario around it using other SAP Cloud services or available products. i.e. Use the persisted data from sensors from this example in SAP HANA for predictive analysis or do Machine learning analysis via SAP provided API’s, SAP Cloud Analytics and so on. Scenario : In this scenario to keep the things simple, I am connecting/monitoring sensors information coming from machines, robots or any other smart device with SAP MII and SAP PCO and passing all the sensor information via http protocol to SAP Cloud platform which is turn utilizing SAP IoT service(standard service for IoT) to monitor messages, configure devices and track the sensor data . 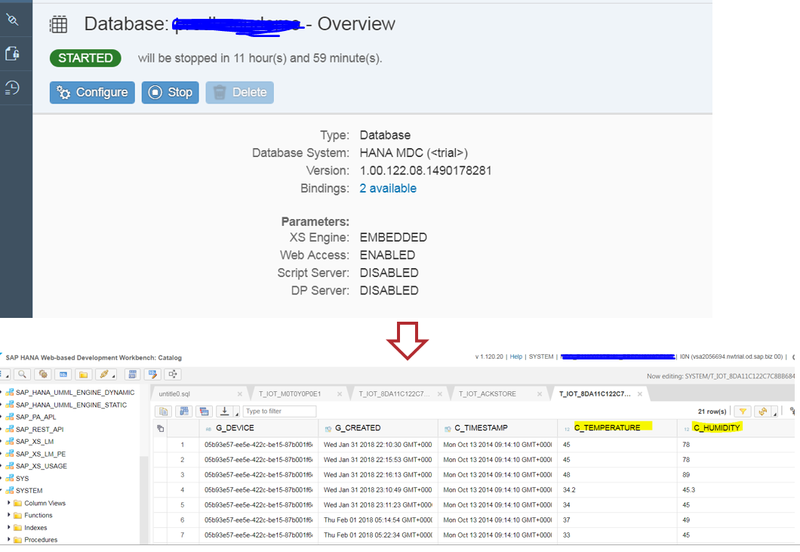 This data (Temperature and Humidity ) is being persisted in HANA database which in turn is being used in SAP UI5 or Fiori application or can be used in HANA native application or any other run time for further analysis i.e. predictive or real time or tabular format reporting. We can also connect any device with bi-directional flow i.e. get sensor data from device and update information back to device via SCP. In this case I will be sending data in one direction i.e. 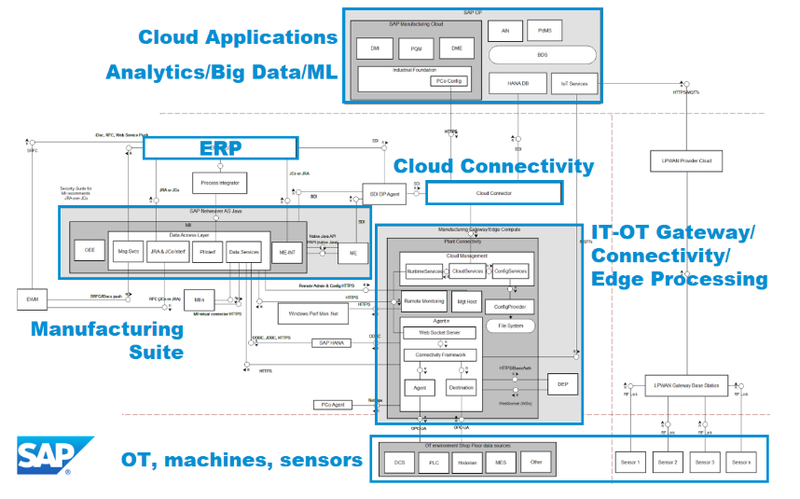 from sensors to SAP Cloud. 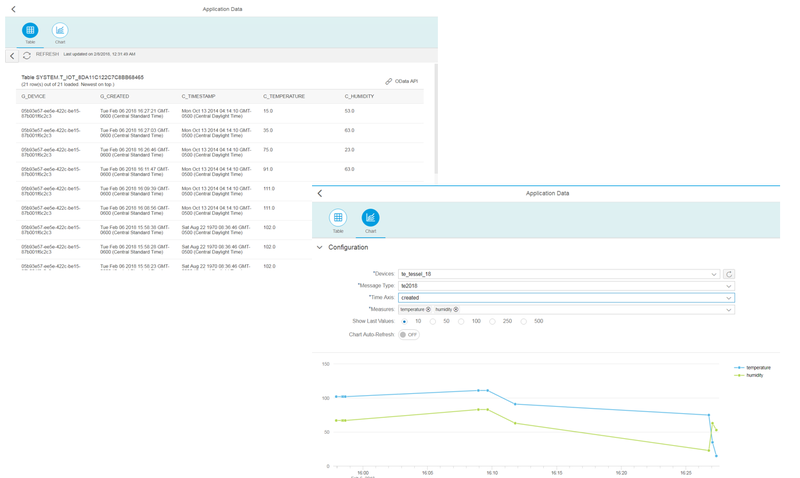 View Tabular/Graphical form of sensor data in standard UI5/Fiori screen part of the IoT service. You can also build custom app and analyze the data for different business cases as needed. Note: I have used HTTP Post in my example for data transfer from MII to SAP Cloud but we can use MQTT, Web socket and other available protocols as well. Some screens, features or services may have changed over time and may not match as this example was created a little while ago.